Hurricane Wire Products Australia is a national marketer and manufacturer to the rural and hardware retail markets in Australia. Miscamble Bros Hardware & Rural Supplies is your one stop shop for all your home, trade and property hardware needs. Open 7 days and offering local and regional delivery service, ensuring you get your products when and where you need them. 12/05/09 - The unique Sentinel Snake Repellent, is a solar powered self contained device designed to create an area where snakes do not want to be. 30/07/08 - Statewide Irrigation Rural Supplies offers Silvan products which include spraying equipment, farm implements, portable sprayers, accessories and components. 29/07/08 - Roberts Ltd offers finance facilities to farmers located in Tasmania. Roberts Ltd also arranges insurance covers for farmer clients through an arrangement with the national insurer, CGU. 29/07/08 - Statewide Irrigation Rural Supplies offers a wide range of quality rainwater tanks from Polymaster, BVCI and Team Poly. 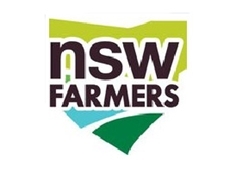 28/07/08 - Statewide Irrigation Rural Supplies specialises in providing irrigation fittings, pumps, rural products, chemicals and fertilisers. 14/07/08 - Drover's Rural Supplies is a manufacturer, wholesaler and retailer of identification tags for the rural industry. Drover's Rural Supplies specialises in livestock identification including animal husbandry equipment and veterinary instruments. 11/07/08 - Drover's Rural Supplies is a supplier of tail tags for livestocks. Drover's Rural Supplies has identified the niche market well and developed enhanced products to meet the demanding market needs. 10/07/08 - Drover's Rural Supplies specialises in a wide range of identification tags for livestocks. Drover's Rural Supplies offers high quality brands which are mainly used for horses and cattle. 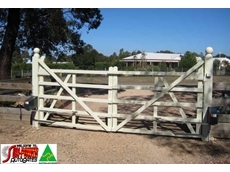 Drover's Rural Supplies also offers paint and timber brands.